Sydney Shop Girl: Running On Empty. It's a pretty relaxed Thursday evening here at SSG Manor. It's really my Friday night because I don't have to go back to work until Monday and the days in between will mostly be in Melbourne. The title of this post is in reference to my actually driving on nearly empty and not just a casual soft rock flashback to Jackson Browne's back beat driven, lap steel guitar infused (thank you Wikipedia) classic of 1977. The orange light came on in my fuel tank indicator this afternoon. On the way home from work. In peak hour traffic. Just moments into the Hume Highway leg of my drive home. As luck would have it, that patch of the Hume Highway citybound must be the only city bound main road in Sydney not to have a petrol station located every third block (between the Maccas and HJs). It was a tense drive home, every red light felt as if it would be my last. My mind raced through questions like, "How does one funnel petrol from one car to another without a jerry can or a funnel?" and "Is the orange light just a warning light that comes before the really empty sign that flashes on the dashboard somewhere?". I did make it to a service station without any dramas. Living that dangerously is hungry work. 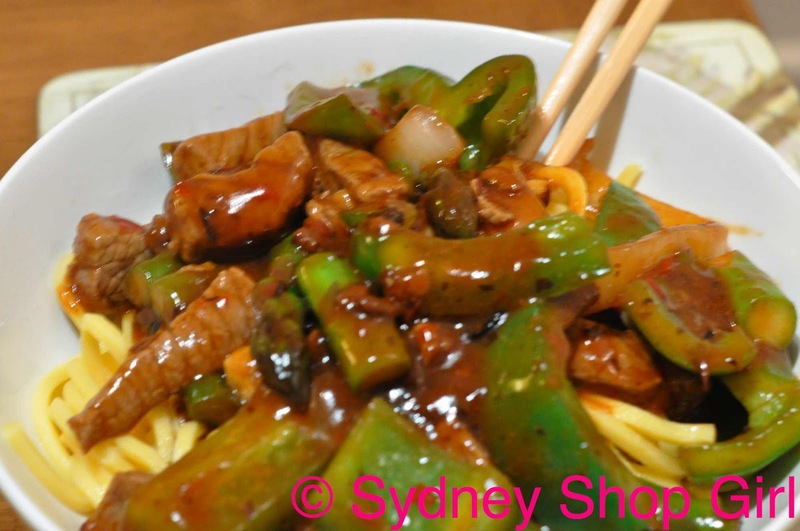 Out of nowhere came a craving for beef in black bean sauce with green capsicum and asparagus. 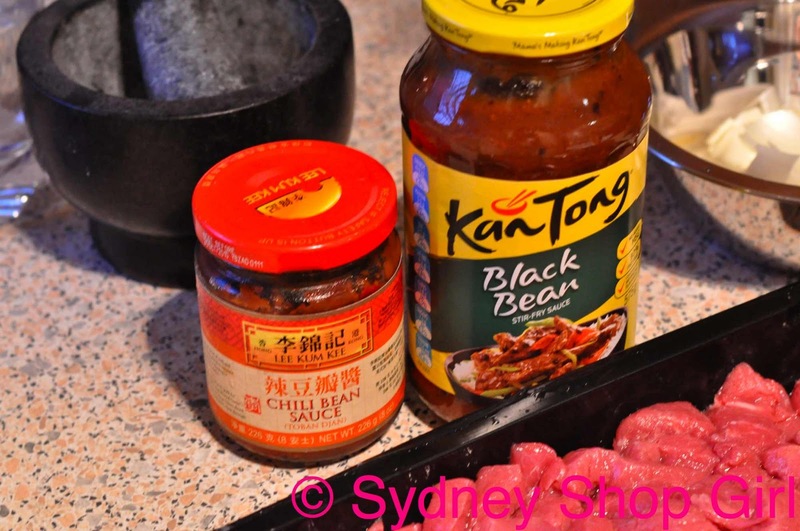 From the aisles of Coles came a jar of Kan Tong Black Bean Sauce and beef stir fry strips. A recent Chinatown grocery shopping trip provided some chilli bean sauce. The greens were waiting in the fridge. It really was very quick work and I'm feeling a bit guilty at the times I've resorted to takeaways during the week. The stir frying is very therapeutic after a particularly excruciating day. I think it's the sizzling of meat in hot oil. From the violence of sizzling red meat to the soothing scent of Lush bath bombs. I think I'm just about packed for Melbourne. The weather sounds very bleak at the moment. For the bath in the hotel. So a sensible pair of evening shoes were required. Sensible in that they are closed toed and easy(ish) to walk in. Work with me here, readers, we are in history making times. The AUD is hovering between the historic numbers of 99.64 and 99.63 US cents, rates not seen since around 1980 (oh dear, that is 30 years ago and I was definitely alive back then....). All 33 Chilean miners have been rescued safely in record time in an efficient operation that seemed to go exactly to plan. I'm waiting for a pair of Tory Burch flats to arrive from ShopBop (props to you, KateB). Just thought I'd slip that in whilst people weren't looking. Black patent YSL Gabys from NAP. Hoping they are Melbourne enough. For the record, these are the last OPI nail polishes I will be purchasing this year. The year is flying by. Left to right: Met on the Internet, a wild electric fuchsia, Sparkle-icious (damn straight, my words, not OPI's), Big Apple Red, The Show Must Go On (looks like scarlet alfoil in a bottle), Alpine Snow (Matte). Looking back at the years gone by like so many summer fields. I have no idea what happened to the fonts in this post. Sorry! 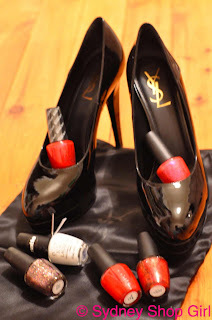 Absolutely LOVE the YSL shoes, very "Melbourne." Have a fab trip and looking forward to some outfit posts. 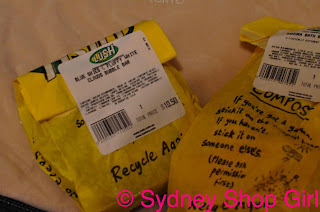 Love the cupboard shots from Hyatt Coolum! Oh I have done thew drive home on no petrol so many times I was tense just reading about it. I love your interpretation of sensible shoes! SSG, if you are planning to come to Melbourne I suggest you borrow FF's new ark and just sail down here! The only appropriate footwear is knee high rubber boots. It is really wet and cold. Sorry! Glad to know I'm not the only one with empty tank phobia.